Prayer Spaces have taken off! The last update suggested Prayer Spaces had landed, but we can now say they have taken off! We have now held three; at the YMCA, Cables House and at Chelmsford Community Church and they have been very well received. Eleven people came to the first, nine to the second and no less than nineteen to the last. 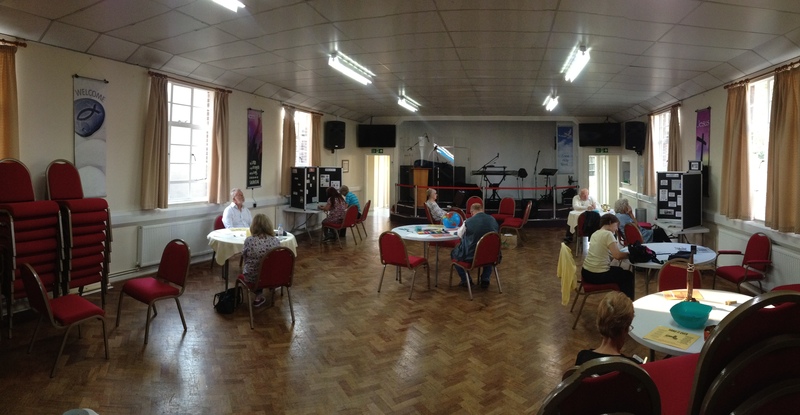 …at the Community Church, alongside their regular Thursday coffee morning. This will be a little different as the Prayer Space will be in a small side room. We will still have worship music playing, but fewer resources placed out. You are welcome to come for refreshments and pop into the Prayer Space. Most of the regular attenders of the coffee morning are not Christians and not least we hope that the presence of praying Christians will act as a catalyst for them to find God too. 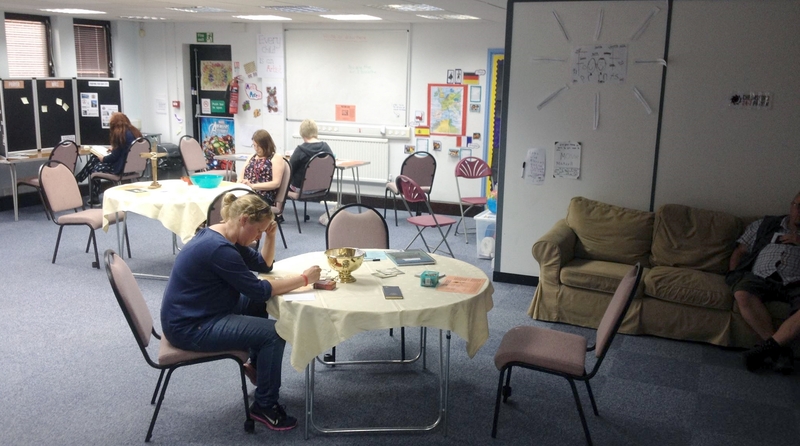 More Prayer Space venues still required! 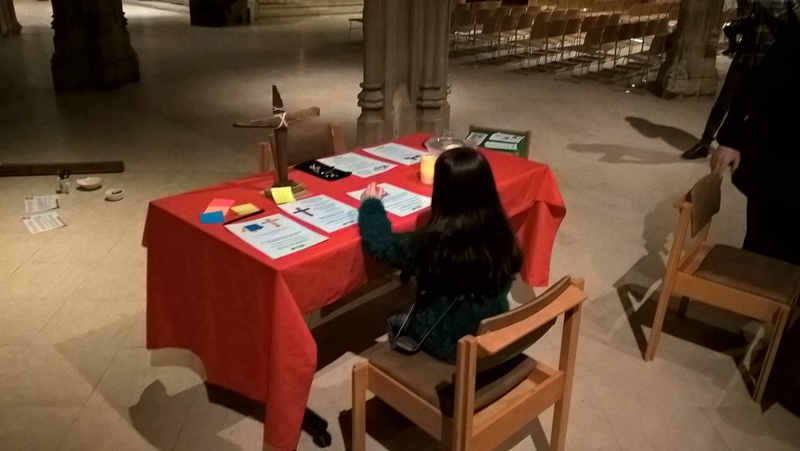 We still wish to develop the portable Prayer Space concept further and I would particularly like to find a venue in the City Centre to hold one each month over a lunchtime/early afternoon – please pray that somewhere suitable emerges. It could be a room in an office or shop – perhaps you work somewhere that would host one? Otherwise, if your church might be able to host the Prayer Space for a regular meeting or special event, please let me know. I am also available to speak about Chelmsford 24-7 at services or other gatherings. 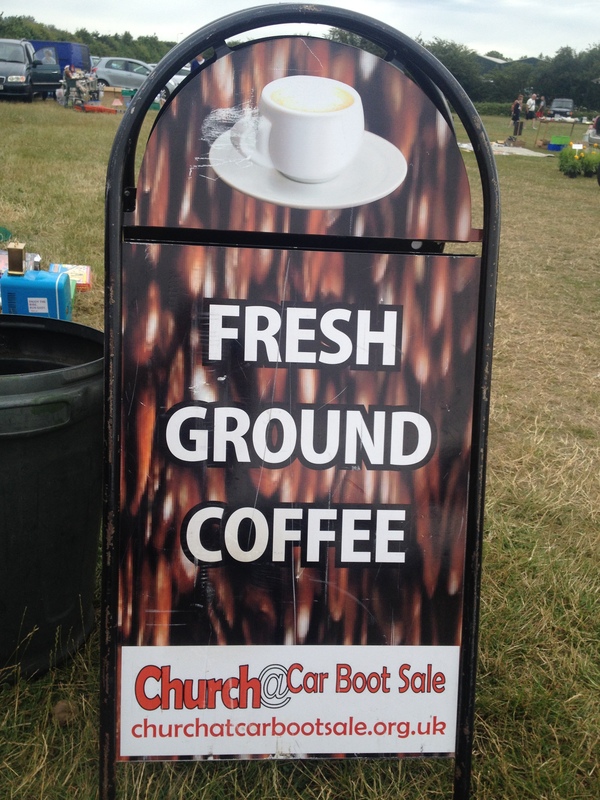 I had the opportunity to go along to the Boreham Boot Sale last Sunday morning having been invited to see if a prayer tent might be introduced alongside what they are already doing. And what a great job the Team there are doing! For many, going to a Boot Fair on a Sunday could be described as their “church” and as they wander round, they are really deep-down seeking much more than a bargain. 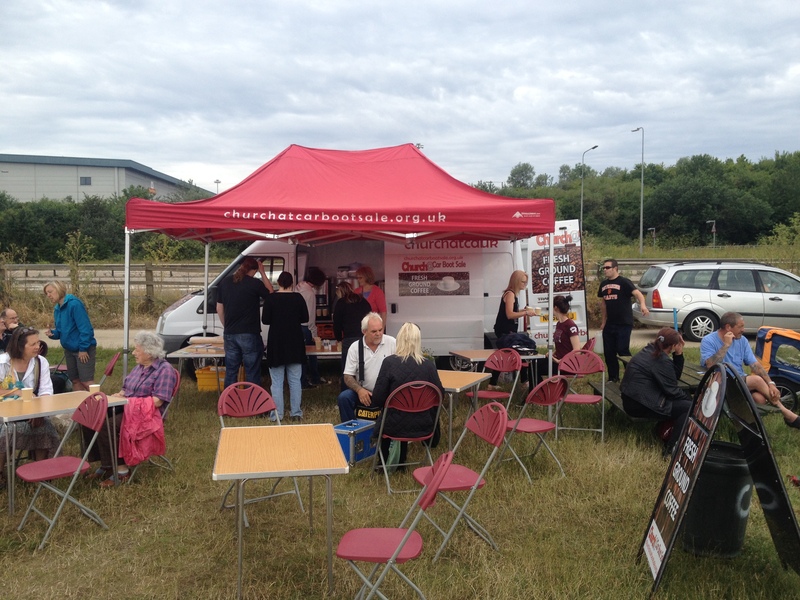 The van and volunteers from several Chelmsford Churches are there to offer to open ears, much more than just a great cup of freshly ground coffee. I would urge all of you to take a Sunday morning out and go along and introduce yourself. See what it is like to take church out of the building and into the market place. They open at 7am, but if that’s too early are there until midday. They are also after new Christian volunteers to help on a rota basis (they do two shifts, the early one from 7 to 9.30 – so you could still go on to your church. I am now praying and considering how Chelmsford 24-7 might work alongside them and hope to give some further thoughts in due course. 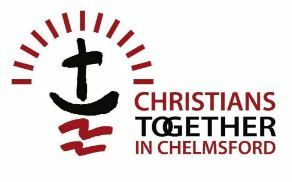 We are fully supporting the efforts of CGCC (Christian Growth Centre, Chelmsford) to establish various ROC projects in the City. I am in regular contact with Stu Alleway from CGC, who one of those driving this forward. 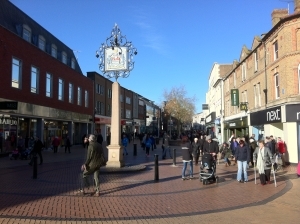 If you have no idea what ROC is all about, I encourage you to check out our ROC web page, which contains some up to date information about the vision and progress of ROC in Chelmsford. This is an exciting opportunity for further unity between our churches in seeing renewal and revival in our City. A further reminder that our Prayer Support Team is now in place, giving prayer support for our ongoing vision and development. You are welcome to join this Team – contact Co-ordinator Sue Gibson via our Contact Page. Even if you are not part of the Team, anyone can check out the latest points for prayer for Chelmsford 24-7 on this page. Bless you all for your continued support. I believe that some significant things are happing in Chelmsford at the moment for the Kingdom of God. Lots are still “under the radar” but that as we continue to pray, we will be more and more of what God has in store breaking through into view. Remember Pray Continually. Great things are upon us. Previous PostMaking SpacesNext PostBuilding a Temple then was not God’s idea!